Liberation theology was a radical movement that grew up in South America as a response to the poverty and the ill-treatment of ordinary people. The movement was caricatured in the phrase If Jesus Christ were on Earth today, he would be a Marxist revolutionary. The views of the eloquent former Foreign Minister, the late S Rajaratnam is also worth a read here and here. He argues a case of old Communism and new Marxism. 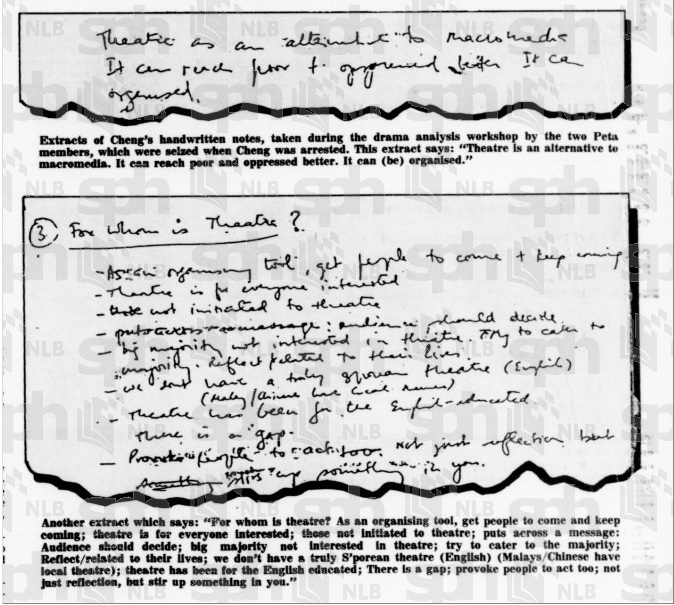 The movement comprised a wide spectrum from those who (mis)used liberation theology for their Marxist goals as well as those that who advocated it from a correct theological point of view where the church has a duty to help the poor but not to the point of politicisation. 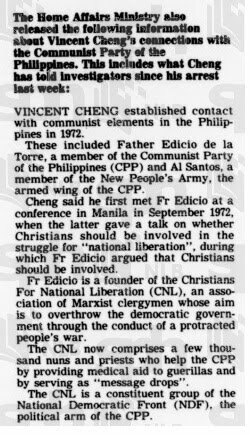 Well-known radical Catholic priests were known to get involved in politics and trade unions; others even aligned themselves with violent revolutionary movements. The most salient example of this was in the Philippines where the Communist Party and their armed faction, the New People's Army is still waging a war against the Philippines government. 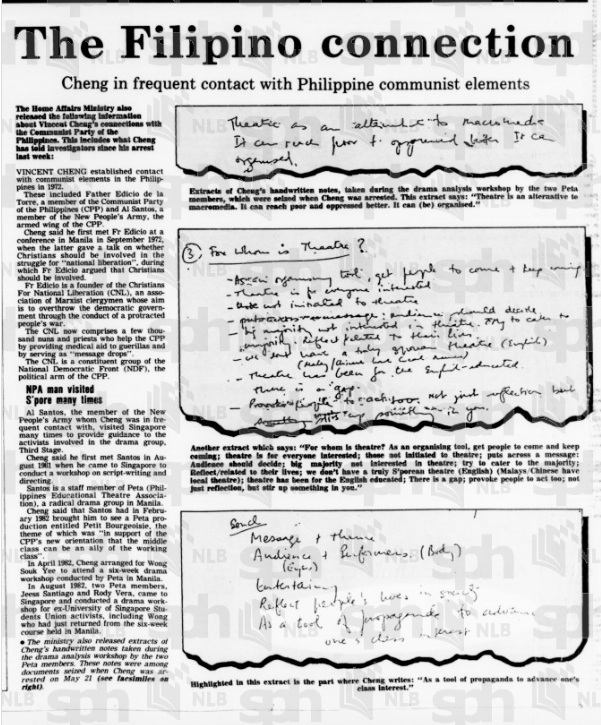 In the case of Vincent Cheng (VC) in 1987, the government claimed that they have found similar evidence with regards to VC's trips to the Philippines in the 70s and 80s where he met Catholic priests that were involved in communist cause under the cloak of a clergyman. VC also met Al Santos, a member of the New People's Army and a staff of Philippines Educational Theatre Association (PETA). On the invitation of VC, Al Santos visited Singapore many times to provide guidance to the drama group Third Stage. 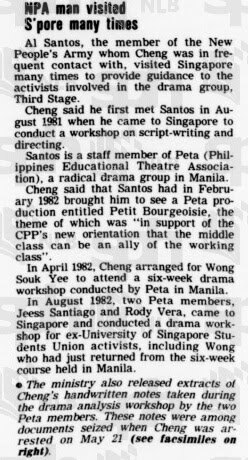 In April 1982, VC arranged for Wong Souk Yee to attend a six-week drama workshop conducted by PETA in Manila.